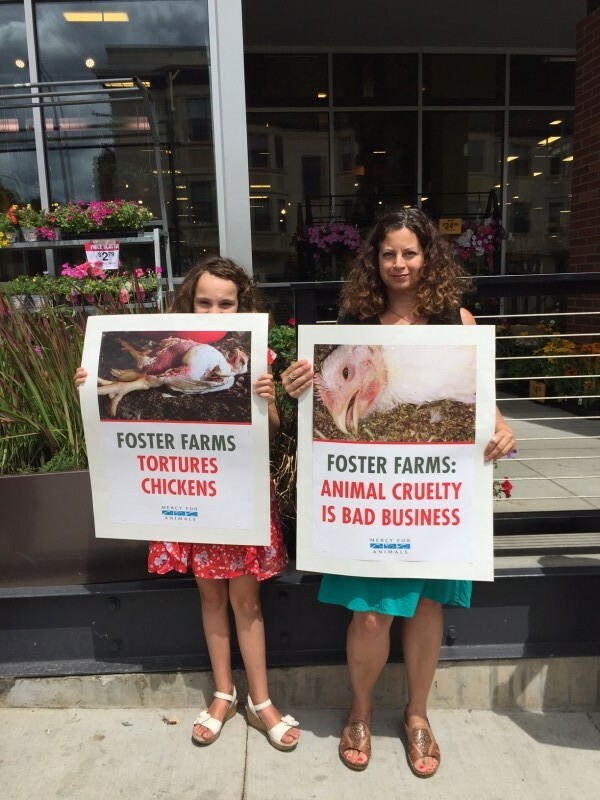 On July 16, my daughter and I joined Mercy for Animal’s protest outside a NW Fred Meyer. I was very impressed with the professionalism, organization and peaceful nature of Mercy for Animal’s protest. 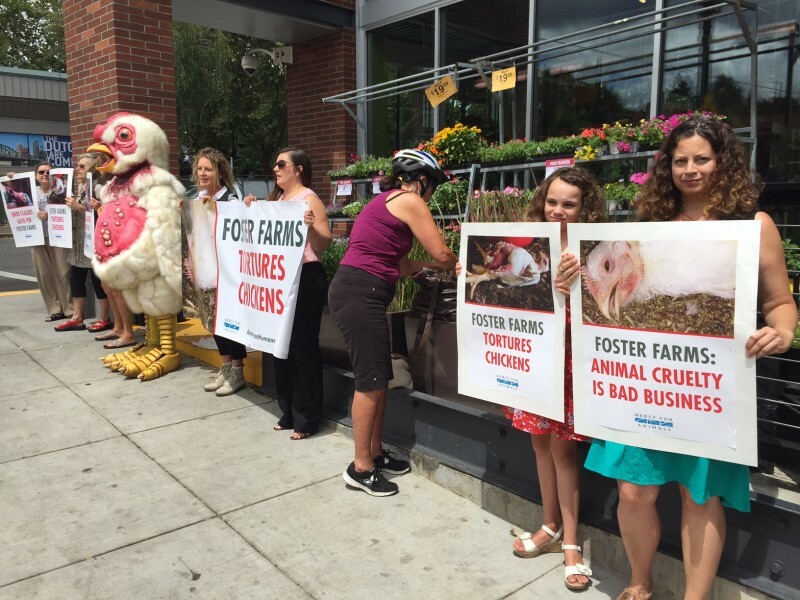 We received so many supportive honks from passing cars, and people taking careful notice of the chicken’s images. Hopefully it brings awareness to the public that these large factory farms are deceiving them with the “humane” label. It was interesting to have my 12 year old there. She started out feeling a bit sad about the grotesque chicken mascot and realistic photos. I explained the reason we were there, to let people know that this is happening. By the end of the hour we spent there, she was marching up and down, declaring “truth!” and talking with interested passerby who wanted to discuss the issue. I was very proud of her, and she felt good that she was doing something. Thank you Mercy for Animals, we are happy to support your efforts!